Our log cabins are located on the Cherokee Indian Reservation, which is adjacent to the Great Smoky Mountains National Park;the most visited National Park in America. This part of Western North Carolina offers beautiful scenery with it's majestic mountains, crystal clear streams and rivers, waterfalls, hiking trails and more. 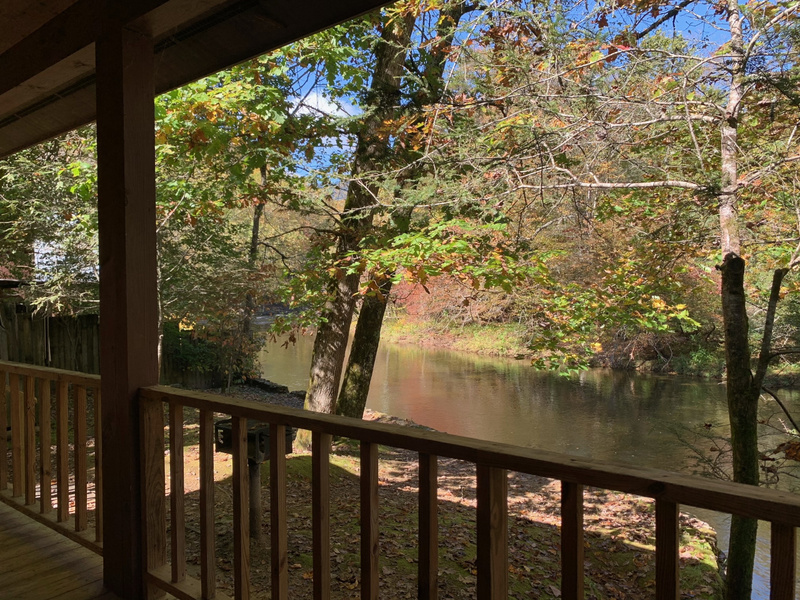 Each of our log cabins has a full front porch just a few feet away from the Oconaluftee River, which offers some of the best trout fishing around. 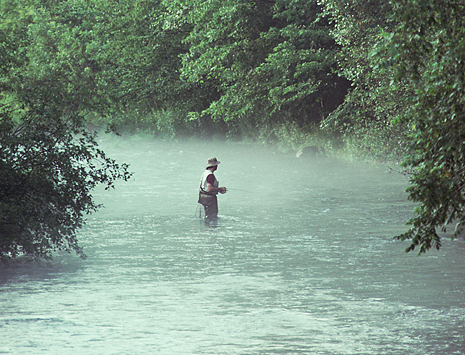 This river is stocked twice a week with brown and rainbow trout. Fly fishermen can enjoy the “catch and release” waters with trophy sized fish just minutes away…so don’t forget your fishing gear!!! This river also provides a great place for rafting, tubing, and even swimming. We're easy to get to and our location is great. We're 1/8 of a mile from the entrance to the Blue Ridge Parkway and the Great Smoky Mountains National Park, yet we're about the same distance to shopping, restaurants and more. We're 1 mile from the Outdoor Drama, Cherokee Museum and the Oconaluftee Indian Village. Feel lucky? We're only 2 miles from Cherokee Harrah's Casino. 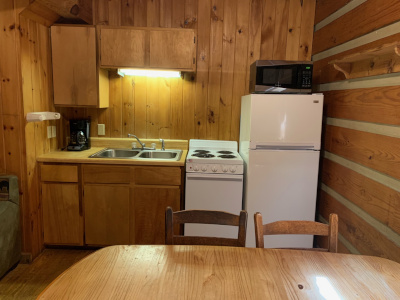 We consider our cabins to be semi-secluded. You're not way back in the woods, yet you're not in the middle of town. We have 6 log cabins lining the riverbank. The view across the river is forest land with no development. 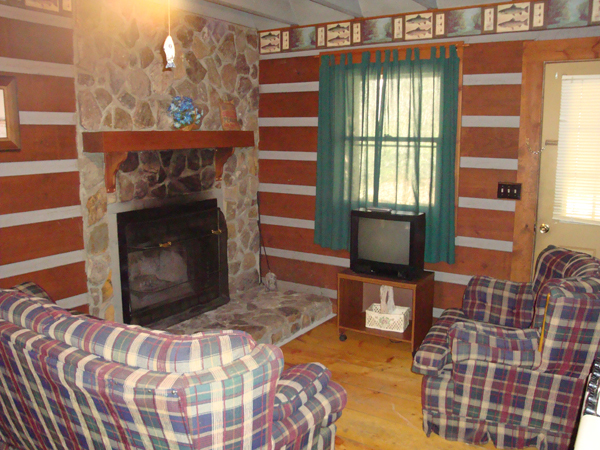 The cabins are separated by full deck areas, 8-15 feet in size. The back of the cabins are about 50 feet from Big Cove Road, which is a local side road with low to moderate traffic. We believe you'll find the setting peaceful and enjoyable. 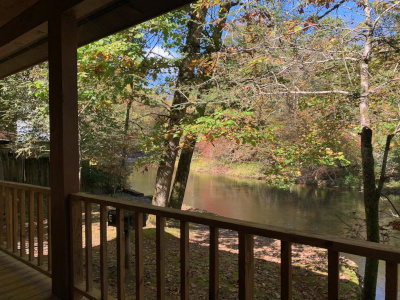 As you can tell, we can offer you an action packed vacation, or you can relax in your rocking chair and watch the river flow by, it's up to you! 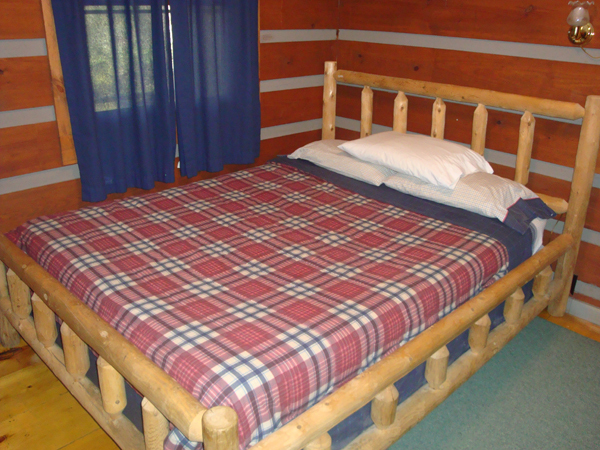 We require a deposit of 1 night to reserve a cabin. We accept Mastercard, Visa, checks or money order for deposit. If you have to cancel, we must know at least 5 days prior to your arrival date for a full refund. If you cancel less than 5 days prior to your arrival date, the deposit becomes Non-refundable. The remainder of your payment can be made on the day of your arrival with cash, Mastercard or Visa.